Markus Franzén, doctor in ecology at the department of biology and environmental science at Linnaeus University, has been granted SEK 3 million by Formas for his research project Cascading effects of drought on farming/grazing and farmland biodiversity. The drought in Sweden during the summer of 2018 led to acute food shortage for livestock and became a hot topic in the news. Together with Anders Forsman, professor of evolutionary ecology, Markus Franzén has been granted research funds to study how extreme drought and grazing impact plant and animal life in grasslands. Insects are important pollinators, and butterflies have been shown to be good indicators of species diversity and the condition of the environment. 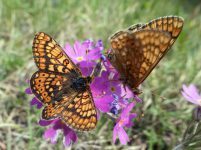 In this project the researchers will focus on the marsh fritillary, a flower-visiting butterfly, and its host plant Succisa pratensis. The study will be performed on the island of Gotland in the Baltic Sea, an area where the drought was particularly severe in 2018. “Our hypothesis is that the drought resulted in food shortages for parts of the biodiversity and for livestock in our open farmlands, which in its turn has led to intensified grazing over larger areas”, says Markus Franzén. In the long term, the combined effect of drought and extensive grazing can lead to an ecosystem collapse, which has consequences also for agricultural production of crops, meat, milk, etc. Meadows and pastures are home to many different species of plants and animals that depend on livestock. Grazing is positive for biodiversity because it keeps the landscape open and dominant plants are limited in their distribution. Too intense grazing, however, can be devastating, in particular for pollinating insects. During the extreme drought last summer, farmers were given permission to let their livestock graze on more or less all grasslands, which is not good for biodiversity. “We have seen a very dramatic reduction of important habitats after the drought. 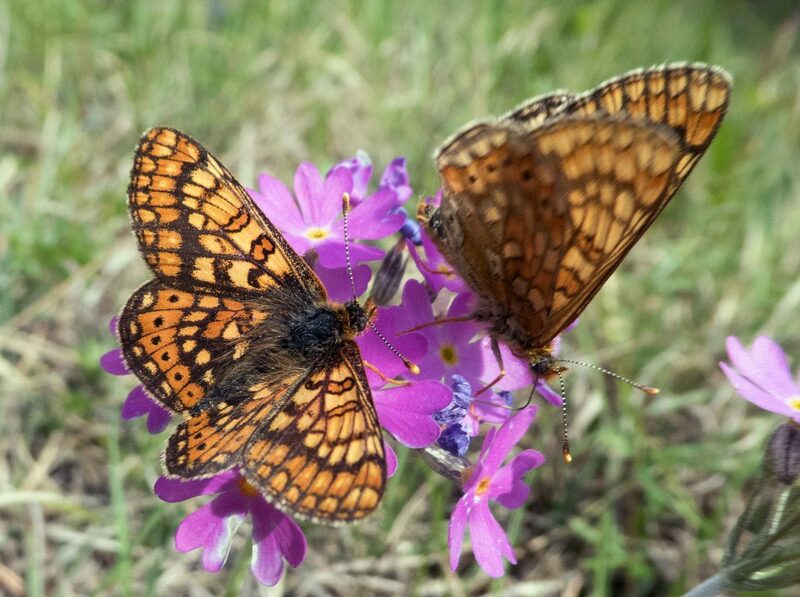 In particular the marsh fritillary and other species linked to wet meadows seem to have had their number reduced”, says Franzén. It is difficult to predict what will happen in the future. By making use of the increased knowledge about how ecological processes are affected by extreme weather conditions, research can contribute with projections about how biodiversity may respond under different climatic conditions and scenarios. “Measures that promote insects and their host plants do not necessarily have to be hard to implement. Much can be achieved through relatively small measures; for instance, setting aside land where livestock do not graze extensively. This may allow plants and pollinators to recover”, explains Anders Forsman. The researchers hope that their study can inform future development of the common agricultural policy and in this way contribute to a sustainable farming production that maintains biodiversity, also during weather conditions like extreme drought.